The Czech Ministry of Defence (MoD) has officially denied that it has selected a CZK5.9 billion (USD241 million) 3-D mobile air defence radar (MADR) solution from Israeli firm Elta Systems via a direct government to government contract. The Czech business daily E15 claimed it had obtained copies of MoD documents indicating the MoD would select a 3-D MADR radar from Elta Systems and its Czech partner Retia. The daily was critical of the fact that the replacement radar systems being offered by Elta cost four times the amount which the MoD initially intended to spend on procuring new systems. However, MoD press spokesperson Petr Medek told IHS Jane's that: "At this point we have not made a final decision and continue to explore all options including systems being offered by US and European manufacturers." "The ministry intends to make a decision within a matter of several weeks as to which solution to select since the new systems must be procured and made operational by early 2017", Medek added. Medek stated the MoD has not yet decided whether to address a single supplier or whether to announce a public tender for the new systems. Kazakhstan is looking to launch licensed assembly of a range of Turkish armoured vehicles, Kazakh media reported on 9 June. Speaking to Forbes Kazakhstan , managing director of Kazakh agricultural equipment manufacturer Kaz Kioti Bakhtiar Mamatov, said his company was currently in negotiations with state-owned defence equipment manufacturer Kazakhstan Engineering to assemble and produce vehicles made by Turkey's BMC. According to Mamatov, the company is looking to begin production of BMC's EFE and 235-16 4x4 tactical transports, 380-26 P 6x6 tactical transport vehicles, the mine-resistant, ambush-protected BMC 350-16 Z Kirpi 4x4, and BMC 250-10 Z Vuran multipurpose armoured vehicle. The initial investment is expected to be approximately USD30 million, and will create 100 jobs, Mamatov said. The plant will initially focus on local assembly before increasing local workshare and content. The move comes as Turkey is increasingly pushing into Kazakhstan in a number of sectors, ranging from agriculture and telecommunications to pharmaceuticals and food. Both the Turkish and Kazakh governments are seeking to boost bilateral trade from USD3.3 billion in 2014 to more than USD10 billion. 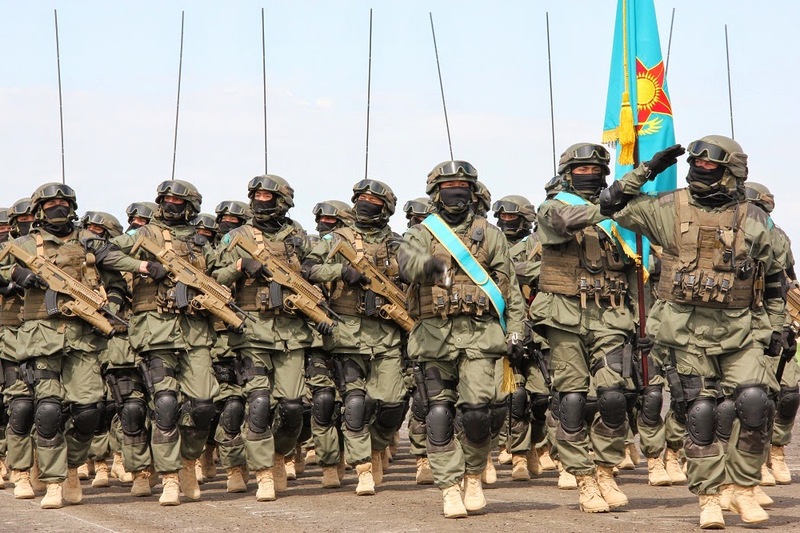 The two countries already have an established defence trade, with Kazakhstan previously procuring seven Otokar Cobra armoured vehicles and Turkish firm Aselsan establishing a joint venture with Kazakhstan Engineering in 2013 to manufacture electro-optic and night vision systems for the Kazakh military. Que pensarão os Russos disto? Dizem que Astana é uma capital engraçada, com uns edifícios também engraçados. Honeywell, June 11, 2015 - PHOENIX – Honeywell Aerospace will supply the Finmeccanica-AgustaWestland AW101 helicopter with its LASEREF VI Inertial Navigation System. The advanced inertial navigation technology makes it easier for helicopter pilots to navigatewith extreme accuracy, even with the loss of GPS satellite guidance, and brings unprecedented new capabilities to the platform including greater precision and efficiency. The new upgrade is available for future and in-service AW101 helicopters,and will be accessible to operators starting in 2016. The availability of the LASEREF VI Inertial Navigation System (INS) on the AW101 marks the first time that a Honeywell civilinertial reference systemhas been certified on an AgustaWestland platform. Honeywell’s LASEREF VI will help AW101 operators improve mission capability and flexibility of their fleet, reduce their pilot workload, and ensure that safety is maintained at all times. Honeywell was selected givenits proven performance record and certified RNP capability, helping the AW101 remain one of the most capable tactical transport helicopter platforms on the market today. AW101 operators flying Honeywell’s LASEREFVI INScan take advantage of new capabilities including a Required Navigation Performance (RNP) of 0.3 nautical miles with 100 percent availability. With this level of precision, operators can fly approaches not previously possible, including when GPS is temporarily interrupted. It also lays the foundation for them to obtain helicopter operational approval for RNP low-level operations. Designed to withstand the hot and dusty conditions of rotorcraft operation, the LASEREF VI offers acombined GPS/INSmode and an inertial-only mode. Ituses ring laser gyro technology to provide pilots with incredibly accurate positioning data and maximized safetyeven during extended periods of operation. The LASEREF VIis small, light and designed to operate with low power draw for improved efficiency.It features Honeywell’s HIGH Step2 inertial-GPS hybrid functionality for improved RNP availability, and has an FAA Technical Standard Order that certifies it to the highest possible civilian standards. The LASEREF VI is one of a wide range of inertial navigation technologies Honeywell supplies for military and civil fixed wing and rotorcraft, as well as space applications, with more than 100,000 systems fielded to date. Honeywell Aerospace products and services are found on virtually every commercial, defense and space aircraft, and its turbochargers are used by nearly every automaker and truck manufacturer around the world. The Aerospace business unit develops innovative solutions for more fuel-efficient automobiles and airplanes, more direct and on-time flights, safer flying and runway traffic, along with aircraft engines, cockpit and cabin electronics, wireless connectivity services, logistics, and more. The business delivers safer, faster, and more efficient and comfortable transportation-related experiences worldwide. Taiwan show at Paris Air Show 2015 to new «Sky Sword II» Surface-to-Air Defense Missile System. Tien Chien II ( or Sky Sword II ) is a combined short to medium range surface-to-air missile and anti-aircraft artillery weapon system produced by Chungshan Institute of Science and Technology (CSIST) in the Republic of China(R.O.C.). Its air defense consists of automatic anti-aircraft guns and surface-to-air missiles with radar or optical target-tracking and radio-command guidance, reported defence-blog.com. At different chassis installed missiles «surface-to-air» and anti-aircraft Bofors 40 mm gun. Paris, França, 15 de junho de 2015 – A Embraer Defesa & Segurança e o Ministério da Defesa e Veteranos da República de Mali firmaram, hoje, um contrato para a aquisição de seis aviões turboélice de ataque leve e treinamento avançado A-29 Super Tucano no Paris Air Show. A cerimônia contou com a presença do Ministro de Defesa da República de Mali, Tieman Coulibaly. O acordo inclui suporte logístico para a operação dessas aeronaves e também a instalação de um sistema de treinamento para pilotos e mecânicos da Força Aérea de Mali. Os A-29 Super Tucano serão utilizados para missões de treinamento avançado, vigilância de fronteiras e de segurança interna. “Com este contrato, adicionamos mais um importante cliente na África, onde diversos países já operam o Super Tucano”, disse Jackson Schneider, Presidente e CEO da Embraer Defesa & Segurança. “Trata-se de um avião versátil e robusto, com experiência comprovada em combate e que cumprirá com excelência as missões para as quais foi selecionado. Parabenizamos a Força Aérea de Mali como um novo operador do Super Tucano e estamos certos de que esta nova parceria durará por muitos anos”. 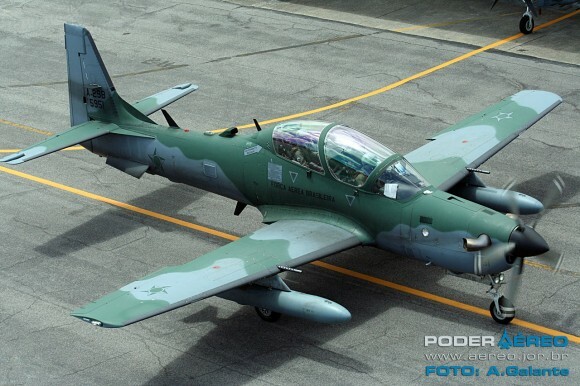 O A-29 Super Tucano é atualmente utilizado por dez forças aéreas em três continentes. Também foi selecionado pela Força Aérea dos Estados Unidos (USAF) para seu programa de Apoio Aéreo Leve (LAS – Light Air Support). Em mais de dez anos de operação, o Super Tucano já alcançou um excelente histórico de desempenho: mais de 230 mil horas de vôo e mais de 30 mil horas de combate. A Embraer já recebeu mais de 210 pedidos firmes e entregou mais de 190 unidades da aeronave. O A-29 Super Tucano é um turboélice robusto e versátil, capaz de cumprir uma ampla gama de missões, incluindo apoio aéreo tático, bem como inteligência, vigilância e reconhecimento. Com mais de 130 configurações de armamentos certificadas, o avião está equipado com tecnologias avançadas em sistemas eletrônicos, eletro-ópticos, infravermelho e laser, assim como sistemas de rádios seguros com enlace de dados e uma inigualável capacidade de armamentos. O Super Tucano é a única aeronave de ataque leve e treinamento avançado no mercado global com atuação comprovada em combate e plenamente operacional, o que a torna altamente confiável e com excelente relação custo-benefício para um grande número de missões militares, mesmo em pistas não pavimentadas e ambientes hostis. Citação de: "Nicholas de Larrinaga, IHS Jane's 360"
Antonov is developing a jet-engined version of the An-70 strategic transport aircraft, the An-188, company officials announced on 15 June at the Paris Air Show 2015. Dmytro Kiva, Antonov's president and general designer, said that following the acceptance of the turboprop powered An-70 into Ukrainian service in January, "this aircraft has become the basis of the new An-188 with jets." The company is positioning the An-188 in a similar niche to the An-70 or the Airbus A400M, with its maximum take-off weight of 140 tonnes and maximum payload of 40 tonnes, sitting in between that of the Lockheed Martin C-130 (79/20 tonnes) and the Boeing C-17 (255/75 tonnes). Kiva said that the "aircraft [will be] able to operate from unpaved airfields [and] short airfields" of 915 m in length. As the aircraft used turbofan engines it "would provide "high economic efficiency and small fuel consumption", he added. Antonov specifications state the aircraft will have a fuel consumption of 4,600 kg per flight hour. Antonov officials also revealed that the company is working on a new variant of the An-178 twin-engine turbofan transport aircraft, which made its airshow debut at Le Bourget. Although the An-178 only had its maiden flight on 7 May at Kiev-Antonov Airport (Gostomel), having been first revealed in 2010, the type has since secured a launch customer (with Azerbaijan's Silk Airways having ordered 10 aircraft) and a new variant. Called the An-178-111, the new version will feature western engines and western avionics and systems - rather than the Ukrainian/Russian standard systems on the An-178. Accordingly, instead of the current D-346 engine the An-178-111 will be offered with either General Electric CF34-10 or Pratt & Whitney PW1500 engines. Antonov is pitching the An-178 as a replacement for the An-12 'Cub', the An-26 'Curl', and the An-32 'Cline' airlifters currently in service with various customers. With an 18-tonne payload, the An-178 sits amid various potential rivals on the export market, including the Lockheed Martin C-130J-30 Hercules (22 tonnes); the Embraer KC-390 (23 tonnes); and the United Aircraft Corporation-Hindustan Aeronautics Limited Multirole Transport Aircraft (15-20 tonnes). Construction of a Kalashnikov assault rifle factory and corresponding munitions factory will be further delayed, according to Russian reports. The delays are being attributed to an alleged multi-million dollar fraud that led to corruption charges filed against a former Russian senator. In May 2005 Venezuela signed a USD40 million contract for 100,000 AK-103 assault rifles, 74 million rounds of 7.62x39 mm ammunition, and five simulators. Following the initial batch of deliveries, then-president Hugo Chavez announced that Venezuela required 920,000 new assault rifles and would therefore establish its own weapon-production facility. Chavez sought to equip a large people's militia that would serve as a strategic reserve in case of an invasion and to counter-balance the Venezuelan military (to prevent it from taking over the government). Paris, França, 19 de junho de 2015 – A Embraer Defesa & Segurança e o Ministério da Defesa da República de Gana assinaram contrato para a aquisição de cinco aviões turboélice de ataque leve e treinamento avançado A-29 Super Tucano. O contrato inclui apoio logístico para a operação destas aeronaves, assim como a instalação de sistema de treinamento de pilotos e mecânicos em Gana a fim de tornar a Força Aérea de Gana autônoma na formação de pessoal qualificado. 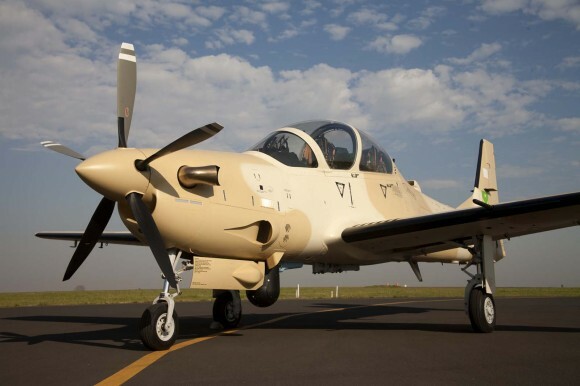 Os A-29 Super Tucanos serão empregados em missões de treinamento avançado, vigilância de fronteiras e segurança interna. “É com extrema satisfação que anunciamos a Força Aérea de Gana como mais um operador do Super Tucano, uma aeronave já consolidada no mercado global, expandindo assim nossa presença na África”, disse Jackson Schneider, Presidente e CEO da Embraer Defesa & Segurança. “Estamos seguros de que, com essa aquisição, a Força Aérea de Gana estará equipada com a solução mais apropriada e comprovada para atender às suas necessidades”. O contrato entrará em vigor uma vez que tenham sido cumpridas determinadas condições. Estas condições deverão ser preenchidas durante o segundo semestre de 2015. Citação de: "Gareth Jennings, IHS Jane's Defence Weekly "
Bell Helicopter is pressing the US government to limit the number of surplus army OH-58A-D Kiowa and Kiowa Warrior scout helicopters it offers for sale to foreign operators in case these undermine the company's efforts to sell its latest platforms, the CEO said at the Paris Air Show on 17 June. The company is in discussions with the government specifically to cap the number of Excess Defense Article (EDA) OH-58 helicopters that might be offered to nations at no cost, other than the expense of refurbishment and shipping, John Garrison told reporters at Le Bourget. The US Army has just begun the process of divesting itself of more than 630 OH-58A-D helicopters as it transfers its scout role over to unmanned aerial vehicles. At the beginning of 2015 the US Army issued an OH-58D Kiowa Warrior Excess Materiel Survey Message, for potential operators to log their interest in receiving surplus helicopters under the EDA programme. Croatia immediately registered its wish for 16 OH-58D helicopters. Germany and France are considering cooperation on developing a successor to the tank "Leopard 2." The current model has been in service since 1979, and aging Bundeswehr equipment is currently in stark focus. The German Defense Ministry announced its plans for the "Leo 3" (as it's likely to be nicknamed in Germany) in a report on Friday to the Bundestag, which was obtained by multiple media outlets. "Technologies and concepts will be investigated between 2015 and 2018 in joint studies also involving German industry," Markus Grübel, a deputy minister in the German Defense Ministry told his parliamentary colleagues. He cited the Leopard 2's long years of service as the reason that a new battle tank was required. The Leopard 2's 50-year service life is set to expire in 2030. The tank, which came into service in 1979, was conceived as part of a plan for Cold War-era land defense. Germany commissioned more than 2,000 of them at the peak of the arms race of the early 1980s. Currently, however, only about 240 are in active service; but last month, citing the security situation in Ukraine, Defense Minister Ursula von der Leyen annnounced plans to reactivate 100 mothballed Leopard 2 tanks. In November of last year, von der Leyen also announced a move to add more than 100 aditional "Boxer" armored personnel carriers to the Bundeswehr's ranks. The Defense Ministry is in the process of drawing up a new "white paper" listing Germany's security policies and goals for the present day. The manufacturer of the current Leopard 2, Krauss-Maffei Wegmann, is scheduled to fuse with French firm Nexter Systems in the course of this year. This has prompted media reports in Germany saying that the new Franco-German firm, with more than 6,000 staff and a combined turnover of around 2 billion euros ($2.2 billion), could be a strong candidate to win the contract to develop a new battle tank for the German Bundeswehr. The plans come at a difficult time for the German military, especially where hardware is concerned. New parliamentary ombudsman to the Bundeswehr, Hans-Peter Bartels, called on parliament in his inauguration on Thursday not to scrimp on military spending, saying German troops needed "100 percent" of the required gear, not "70 percent." His predecessor, Hellmut Königshaus, told DW this week that his job had often been difficult, and that Bundeswehr reform is very much a work-in-progress. In January, Könighsaus also pointed out that some barracks were "dilapidated," but it is its weaponry that has dominated the headlines in 2015. Even the Bundeswehr's standard-issue assault rifle, the G36, has come under fire for losing accuracy as the weapon heats up. Meanwhile, Airbus' new military transport plane, the A400M, suffered a crash this month and is being thoroughly scrutinized. Its Transall predecessor is therefore expected to stay in the skies longer than planned. Other problems have hit Bundeswehr helicopters operating in anti-piracy missions off the Horn of Africa, and more generally, Germany is under pressure from NATO to meet the bloc's defense spending targets. However, very few alliance members spend the recommended 2 percent of total economic output on their armed forces. The government in Berlin is also seeking to reinvent Germany's international approach to military affairs, gradually moving away from the overwhelmingly pacifist stance adopted in the immediate aftermath of the Second World War. Critics at home argue however, the government should concentrate on solving the Bundeswehr's equipment problems, before adopting a more active international military footing. Königshaus: "Much remains to be done in the Bundeswehr"
Air New Zealand said on 22 June that it will sell its wholly owned subsidiary Safe Air - a provider of military aerospace maintenance, repair, and overhaul (MRO) services - to Airbus. The airline said in a statement that following the signing of a conditional agreement with Airbus's regional subsidiary, Canberra-based Airbus Group Australia Pacific, it expects to complete the sale of Safe Air next month. It added that details of the transaction are confidential. Safe Air has worked on a range of Royal New Zealand Air Force (RNZAF) programmes in recent years including a Lockheed Martin C-130H life-extension programme as well as supplying heavy maintenance services to support Lockheed Martin P-3K Orions and Bell UH-1H Iroquois utility helicopters. Addressing the concern of restrictions of operating MQ-9 Reaper drones over Europe, due to the fact that this drone has not been certified to fly over civilian airspace, General Atomics Aeronautical Systems, Inc. (GA ASI), the drone’s manufacturer is developing a variant of the Predator B Remotely Piloted Aircraft (RPA) to be certified for flight according to the NATO Airworthiness Standard for unmanned aircraft. Four European air forces have already selected the Predator B RPA. The UK and France are operating these drones overseas (in the Middle East and Africa), while the Netherlands ordered the drones but cannot operate them in country. Italy is the only European country operating the drones in its airspace. Germany, Spain and Poland also consider buying such RPAs but have reservations about their ability to fly them in Europe. This new model, known as ‘Certifiable Predator B’ (CPB) should address these concerns. It has recently completed a successful internal Phase 1 Critical Design Review (CDR), along with reviews by two prospective European customers. The aircraft will receive certification-compliant wings and redesigned tails, both are expected to complete flight-testing late in 2015. The wings span 79 feet and enable over 40 hours of flight time for the aircraft. The company also has also applied for FAA Type Certification and is working with the FAA to develop Unmanned Aircraft Systems (UAS) airworthiness standards. According to sources at GA-ASI, the design of CPB addresses requirements that were not part of the standard Predator B’s specification. 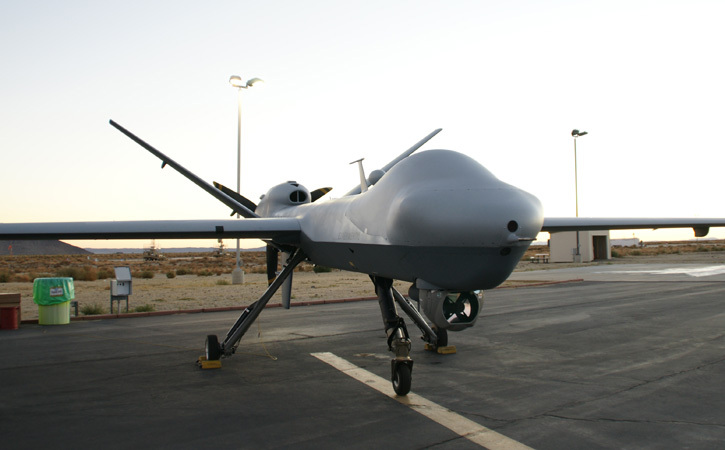 In addition, new standards and requirements continue to be developed for RPA systems and their operational use that were not envisioned during Predator B’s initial development. The development of the system follows international airworthiness standards that include STANAG 4671, UK DEFSTAN 00970, SAE ARP4754A, MIL HDBK-516C, DO-178, and DO-254, as well as others. Most significantly, the CPB airframe will be built with certifiable composite materials with the same process that is in use on many of the newest commercial airliners. In addition, CPB has undergone a comprehensive safety analysis of all of its subsystems, and their designs are being updated as necessary to address airworthiness standards including DO-178C and DO-254. Finally, among CPB’s many design enhancements are features that provide fire protection and all-weather operations, providing lightning protection, erosion resistance, bird-strike protection, and de-ice capabilities. The company is on schedule to conduct flight tests of a test aircraft in 2016, leading to the first flight of a certifiable production aircraft in 2017. According to GA-ASI, certification of delivered systems will be granted by the responsible agencies within each country. The company has dealt with the MQ9 certification issues for several years, reviewing the requirements and design compliance with the certification agencies. According to Linden Blue, CEO, GA-ASI, the company has made a significant investment to solve issues associated with flying RPA within civilian airspace. “Certifiable Predator B will represent the first RPA system in its class to achieve this breakthrough.” Blue said. The company is also developing and testing a new radar to function ‘Detect and Avoid’ (DAA) capabilities for RPA, combining Traffic and Collision Avoidance System (TCAS) II with the company’s Due Regard Radar (DRR) to enable both automatic collision avoidance and the ability to remain well clear of other airspace users. The integrated DAA system will continue to fly aboard NASA’s Ikhana (Predator B) in 2015 in support of a series of NASA flight tests. These tests will measure the performance of the entire system in a variety of situations to support the ongoing standards development within the RTCA Special Committee 228. Additionally, the CPB aircraft integration testing has confirmed the capability to handle multiple configurations of certified electronics, such as Technical Standard Orders (TSO)-certified Identification Friend or Foe (IFF) transponders and communications radios from other industry partners. Israel Aerospace Industries is expanding its activities in Brazil through the partnership with local, strategic defense partners. “IAI sees South America in general, and Brazil in particular, as a ‘growth engine’, and offers a large spectrum of products, backed by wide technological knowhow.” Joseph Weiss, IAI’s President and CEO said “Through working in Brazil extensively for the last few years, we have been exposed to the country’s unique needs and requirements. IAI plans to expand its activities in Brazil by means of cooperation with local companies. Through its partnership with Iacit IAI is promoting comprehensive naval and homeland security capabilities, applicable to Blue Amazon Managing System (SisGAAz). One of these systems is the EZ-Guard ELM2270 Over the Horizon (OTH) radar project that broke ground last month at a coastal site in the South of Brazil. Backed up by transfer of technological knowhow from IAI-ELTA, the project is being conducted with the support of the Brazilian Navy. These advanced maritime surveillance features are combined with IACIT’s oceanic environmental HF capacities. IACIT has been developing an HF Radar solution since 2010 for oceanic environmental weather and sea surface surveillance, as well as pollution control and to assist prediction of environmental hazards such as storms and tsunamis. The radar system is developed with the support of the Brazilian Federal Funding Authority for Studies and Projects (FINEP) and with the technological cooperation of IAI’s ELTA Group. Operating in the High-Frequency (HF) band the new radar employs surface-wave propagation to provide continuous surveillance of the sea surface well beyond the horizon, up to 200 nautical miles (370km) range. The radar employs phased array technology and unique interference cancellation techniques which provide reliable and persistent coverage of the broader maritime area at all times, regardless of atmospheric conditions or sea state. “The technological development process requires time and considerable financial resources, depending on the complexity of the project. The expected assimilation of technology, including by the National Defense Strategic (END), provides a significant leap for technologies already tested outside Brazil with validated solutions. In the case of a Strategic Defense Company (EED) such as IACIT, transfer of technology and know-how are mandatory to ensure continuous production in Brazil. said IACIT president Luiz Teixeira. “The OTH development has propelled IACIT’s capabilities years forward and will provide a strategic advantage for the Brazilian Navy as well as important lifesaving information for environmental control agencies”. “We view this project as an important milestone towards persistent, affordable, reliable and efficient coverage of a broad Brazilian maritime area”, said Mr. Nisim Hadas, IAI Executive VP & ELTA president. Another UAV project in Brazil is “Caçador”, an evolution of the IAI Heron I into a Brazilian-made Medium Altitude Long-Endurance (MALE) UAV. Heron I is operational in Brazil since 2010, operated by the federal police. Caçador UAV is based on this operational experience, to meet the specific requirements of Brazil. Caçador will be equipped with an automatic takeoff and landing system (ATOL) and equipped to operate in civilian controlled airspace, as has already practiced with Heron I in Brazil and elsewhere. Caçador will carry multiple payloads for line-of-sight missions or beyond line of sight using satellite communications. The manufacturing will take place in Brazil. IAI has teamed with Avionics Services of Brazil which is currently inducting the maintenance and support of the system at Botucatu airfield in Sao Paolo. European Advanced Technology (EAT), an Israel Aerospace Industries’ (IAI) subsidiary, has acquired minority holding in the Avionics Services in 2014, as part of IAI’s strategic investment in the Brazilian defense market. The cooperation agreement’s main target markets are defense and public security projects primarily for the Brazilian market, which may potentially be extended to international markets in the future. Under the cooperation agreement between the two companies Avionics Services will provide marketing and manufacturing of aircraft systems, unmanned aerial systems, sensors supporting upgrades of aerial platforms.